SA police officer was assaulted and injured in Antioch late Monday, and the suspect barricaded himself in a home, according to police. Pete Suratos reports. 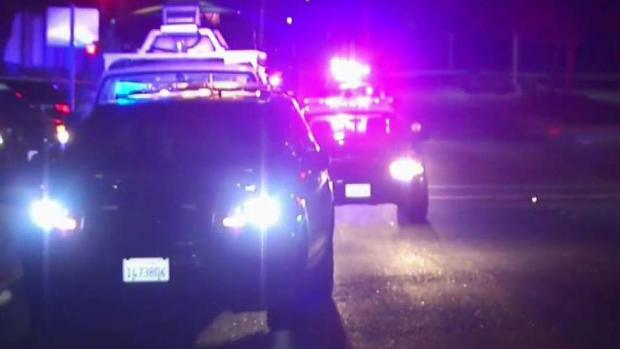 A police officer was shot in the head in Antioch late Monday, and the suspect was arrested early Tuesday after a five-hour standoff, according to police. Antioch police said a 32-year-old man was detained. He was not identified and was booked into Contra Costa County Jail. A subsequent search warrant was served at the home, where two high-powered BB-type rifles were recovered, along with a BB-type replica of a black full-sized automatic pistol, BB ammunition and live pistol ammunition, according to police. Police initially reported the officer was shot in the head then later said the suspect had brandished a weapon and assaulted the officer. Early Tuesday, police confirmed the officer indeed was shot in the head, but the injury was not considered life-threatening. He was treated at a hospital and released. 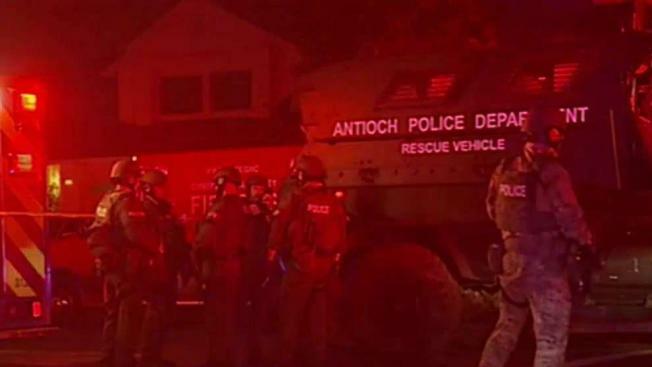 A police officer was assaulted and injured in Antioch late Monday, and the suspect barricaded himself in a home, according to police. Cheryl Hurd reports. The shooting reportedly took place just before 8 p.m. Monday in the area of Deerfield Drive and Fawn Hill Way, and there was a massive police response, including SWAT and hostage negotiation teams, police said. Eight to 10 homes in the area were evacuated, and other homes in the general area were issued shelter-in-place orders.